Overview: 360 Launcher is an android based desktop enhancer. It allows user to change the them that they want to use, along with handy widgets right on your desktop screen, so you never have to dig them again. Simple design with great usability makes your phone nothing like it before. 1. drawer revision turned Android 4.0 style! 8. to support the lock screen to replace the wallpaper. 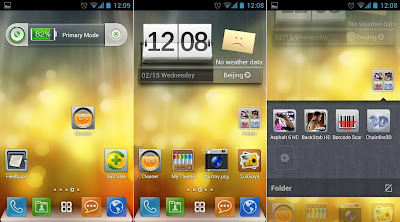 0 Komentar untuk "360 Launcher‎ v2.0 Apk"